Yoann Lemoine, aka Woodkid, started out as a graphic designer. After becoming interested in animated images, he decided to produce music videos as well. It wasn’t long before he started working with the likes of Katy Perry, Moby and Lana Del Rey. Along the way, Lemoine realized he wanted to make music himself. And so, a new identity was born. Woodkid is now releasing his first album, The Golden Age, which tells the story of his evolution into the multidisciplinary artist that he is today. 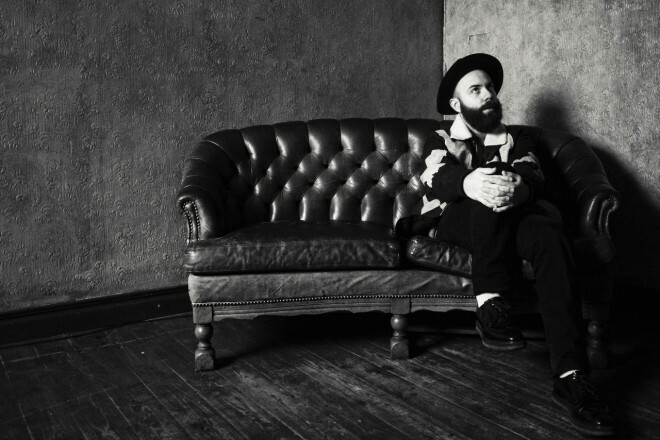 Everything about Woodkid – from his music, videos and overall appearance – appears to be the result of a smooth progression through all the creative fields. In fact, it is the culmination of a long, uneven path that wasn’t without holes and hurdles. Woodkid became who he is today not just by acquiring knowledge, but by realizing his talents and daring to use them. We sat down with the Frenchman to discuss his fear of stasis, the appeal of Dior Homme and cheesy 1990s dance music, and how Chiaroscuro influences his work today.